20-29 November 2012. 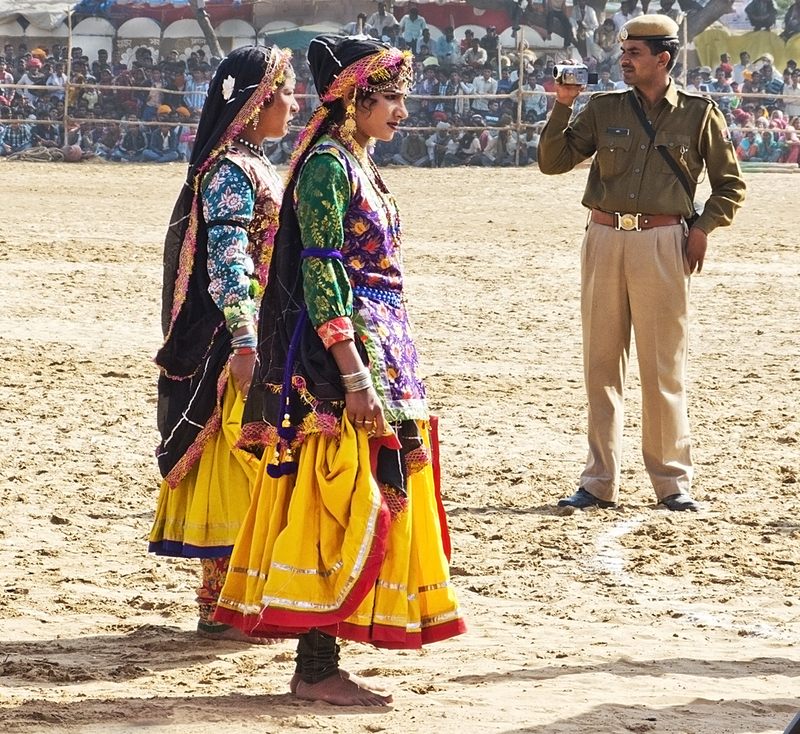 The Stadium at Pushkar. Every day we’d check the program to see what would be on there. Some of it we went to, some not. It was always a zoo, and nothing ever started on time, but some of the things we saw there, ranging from the sublime to the ridiculous, were astonishing, and/or thrilling and/or just plain colourful and thoroughly entertaining. 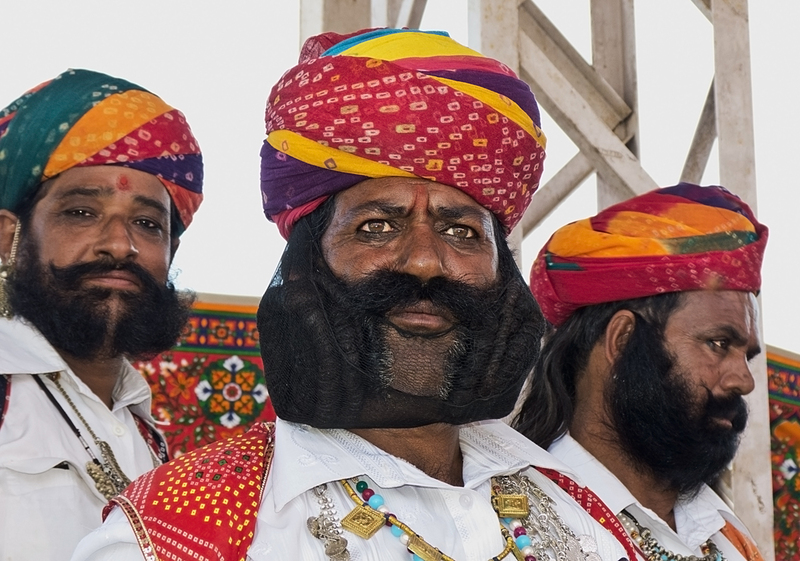 Under the heading of the ridiculous (and astonishing) (with apologies to a great Indian male tradition) was a moustache that was 30 feet long. On each side! 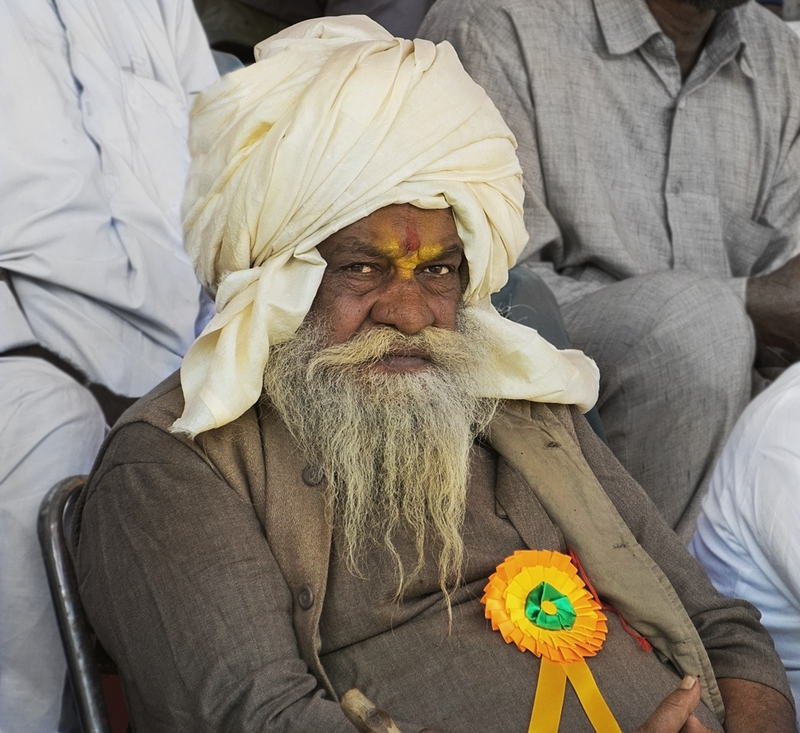 It was very thin and the man it was attached to usually kept it all rolled up somehow in his turban. A unique claim to fame. And no it was not the man in the photo above. I suspect he has both head and moustache hair all rolled up together. Under the heading of the sublime for me was the way those desert cowboys rode their horses. So elegant, so deeply seated that horse and rider are one. A joy to watch. 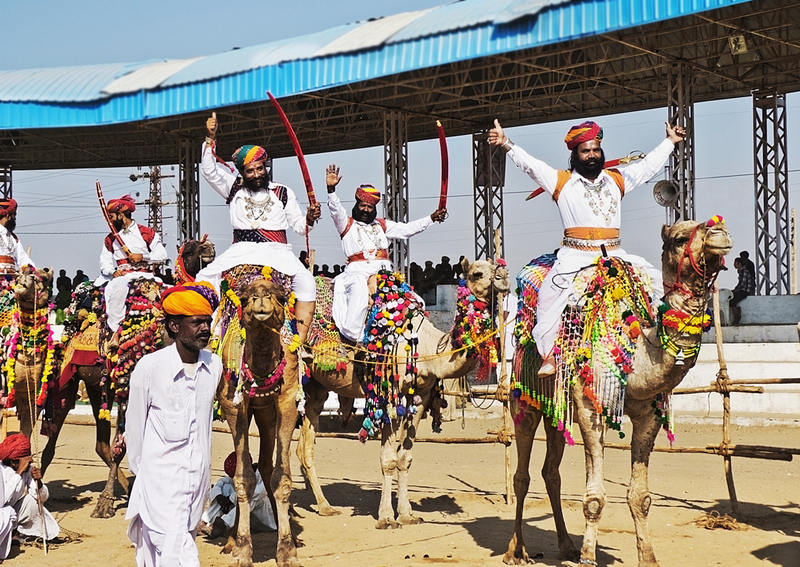 Under the heading of thrilling, and colourful and entertaining was the camel decorating competition. 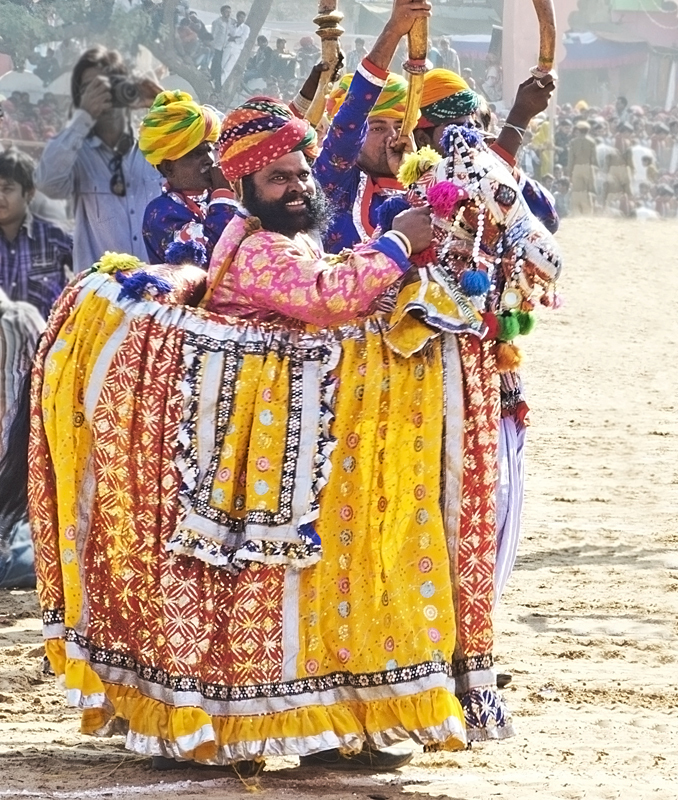 There were five camels entered, each it seemed, more elaborately dressed than the one before. Under the heading of strange and unexpected, but in the end understandable, was the camel “dancing”. 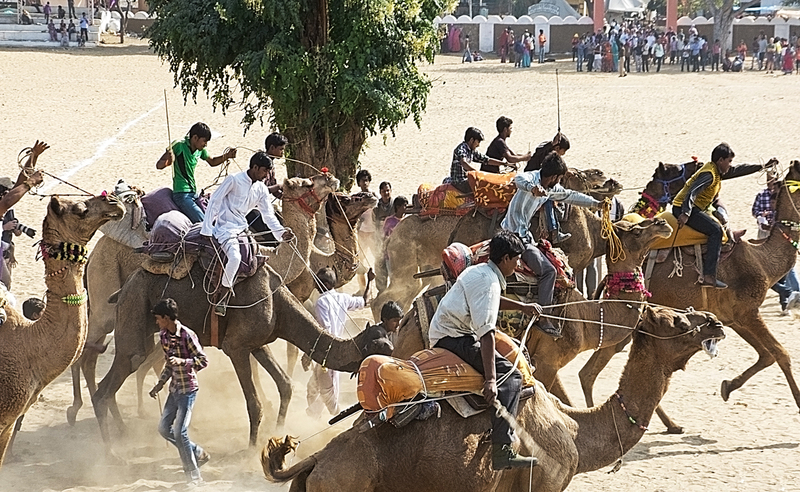 It was a competition between trained camels, in the same way that dog owners teach their dogs how to do tricks like lifting a paw, rolling over, or playing dead. 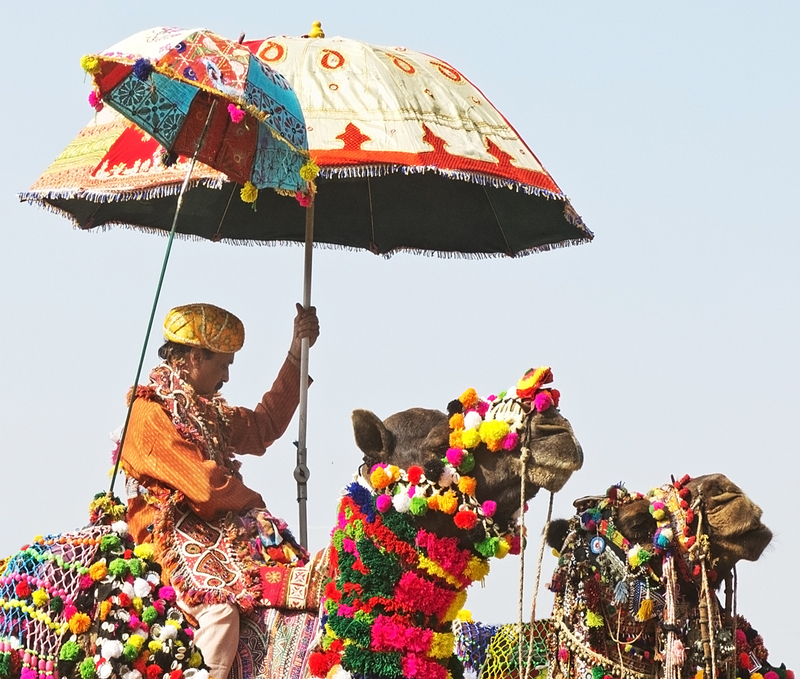 These camels trotted on the spot, climbed onto boxes, and did other tricks. It was kind of interesting for a while. We didn’t stay until the end; partly because we didn’t get there early enough to get good seats so couldn’t see very well. At one point I was standing on the very edge of a ten-foot high concrete wall with some spikey metal contraption behind and below me. And crowds jammed all around me. Yeah. Not feeling very safe. I can’t even really see the performance. Time to move on. Every day in any open space in the stadium there were impromptu circus acts like this performing monkey. I am frankly appalled. It’s creepy. Poor monkey, and it was not the first time we’d seen monkeys tamed for entertainment in India, but I did give some money since I’d taken photos even if I was not interested in watching the performance. 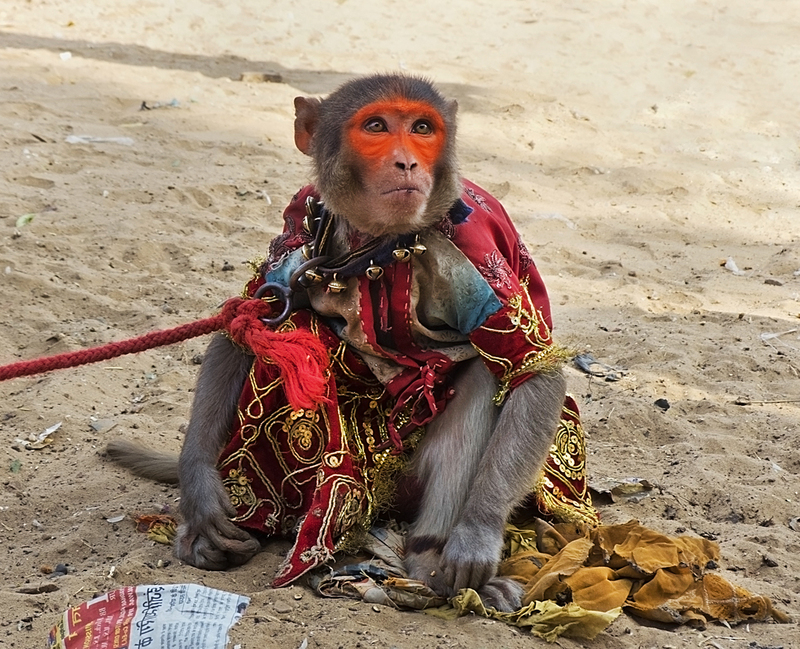 Thanks to God or good fortune the monkey’s human had clipped it’s nails because it grabbed my hand not the money. I screamed and dropped the money, and then realized how incredibly lucky I was not to have potentially infectious scratches all over my hand. Like I said in the previous post – Indian animals love me. Blessed by a monkey again. Then there was this young girl who I think probably supported her entire family. 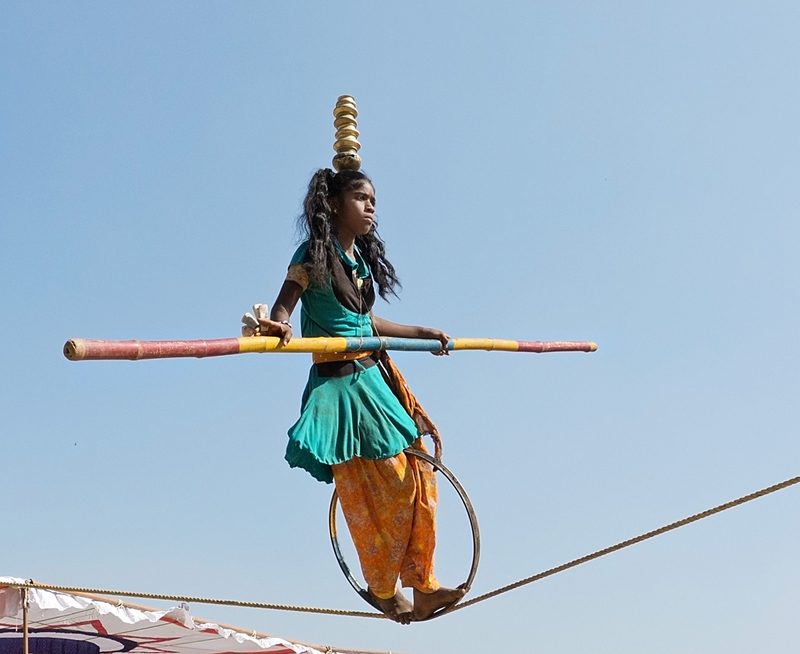 She was a skilled acrobat, and an even better tightrope walker. 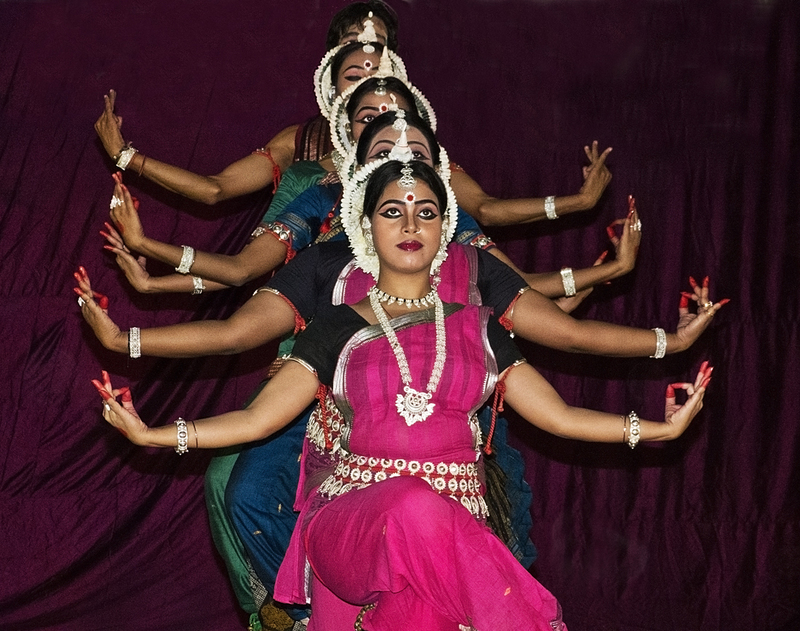 Her sisters performed too, but none were as good as she was. All those little pots on her head are not joined together. It’s all in the balancing. 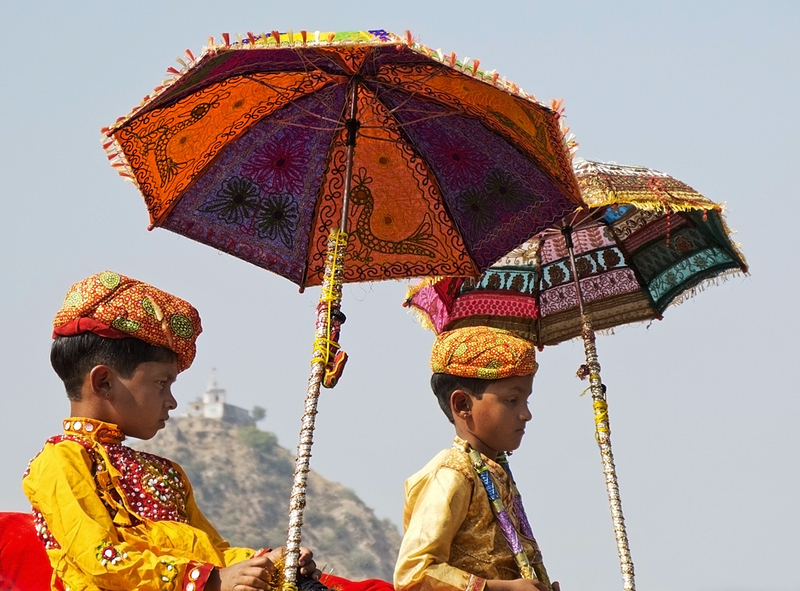 We passed on the turban tying competition (which was to teach westerners how to tie a turban), and the water pot race. We’d wanted to see this but were busy watching the horse judging (a very serious affair), and, of course, it was not held at the advertised time. 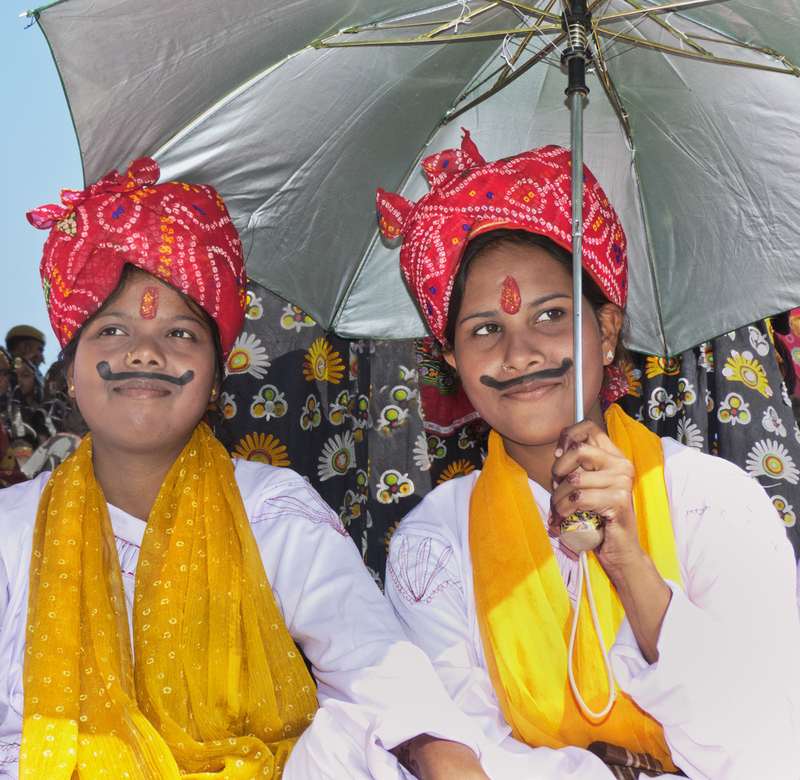 We’d imagined that the water pot race would be Indian women racing with full water pots balanced on their heads, but apparently not. 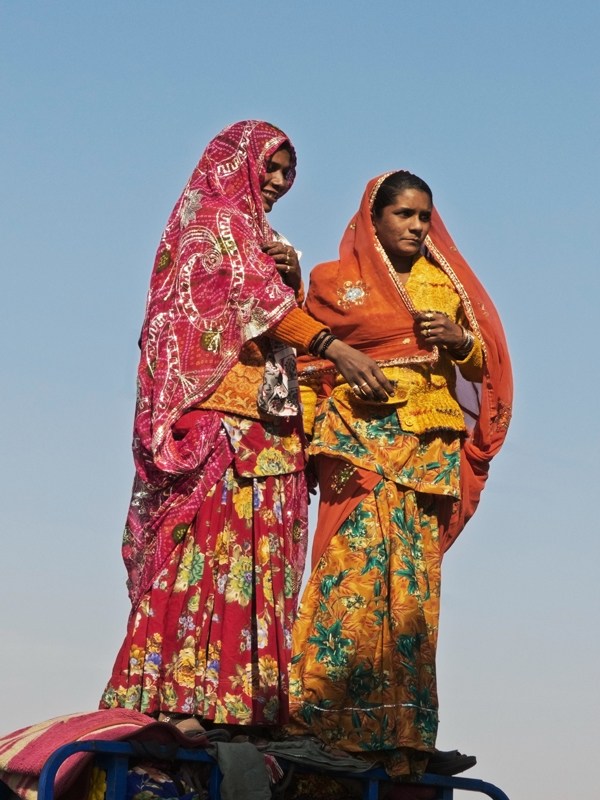 It was a competition between western and Indian women while holding water pots on their shoulders. I like our idea much better. 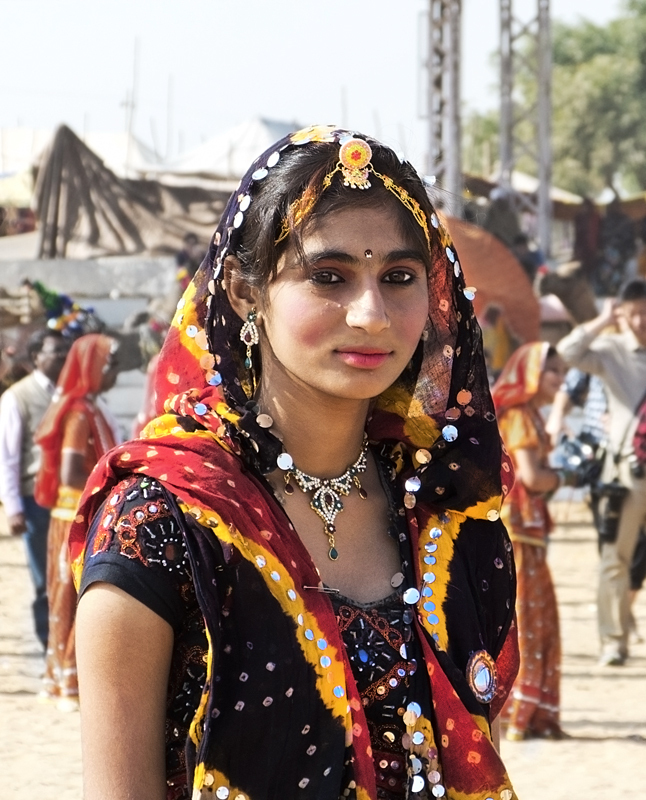 We passed on the many games of football, and the cricket matches of Indians vs westerners, and caught a glimpse of the bride competition as a group of western girls paraded out dressed in traditional Rajasthani finery – beautiful colourful and very sparkly saris and jewelry and piled-on make-up, but without the nose rings. We were there for one of the camel races. Wooooohooooo! What a wild rush that was. One camel ran off in the wrong direction. One lost its rider. Most of them bumped into each other. Some went in a big circle around the stadium, some in a much smaller circle. Some went in any old direction at all. My ordered Virgo mind wanted a properly organized race, with a track, and a starting line and everything. Clearly I was in the wrong country for that. So much fun. I have no idea how they determined the winner. Every day as we set out exploring, at some point or another we’d end up at the stadium. Even when there was no program going on there was always plenty happening. All the “camel taxis” hung out there waiting to take people on rides. 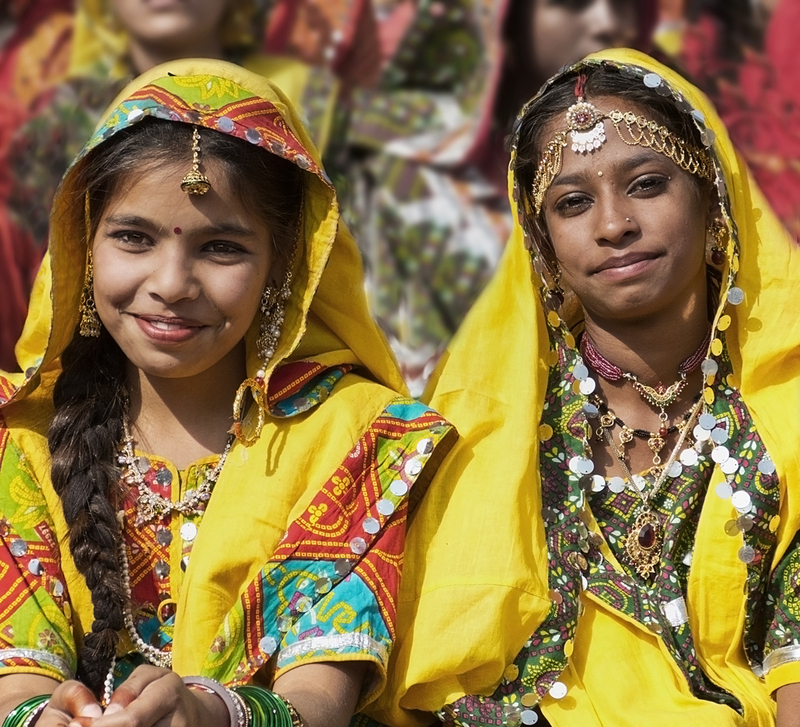 This group of ladies visiting from another town for the fair and for the religious ceremonies took refuge in the shade of one. I took several photos of them, all of them delighted that I would want to. 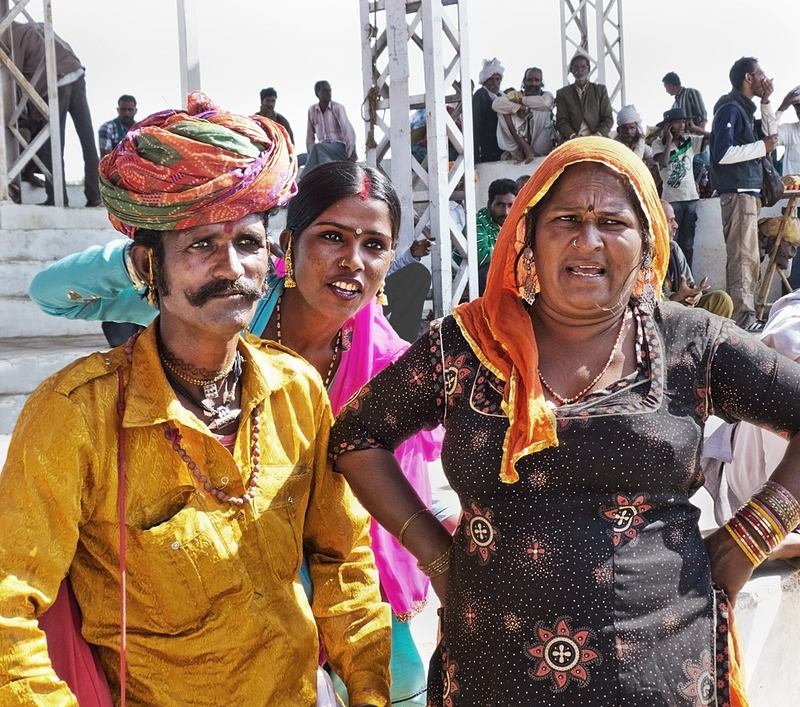 Then I took even more as one by one they all tried on my sun hat over their saris. Hilarious! We had a lot of fun. So much fun that none of the photos turned out well. And these ladies found the best place to watch an event – standing on top of the cab of a truck outside the stadium wall. I should mention that there was also a midway with three big Ferris wheels, and various other rides. And a circus. Yes, a circus. It cost thirty rupees (sixty cents) to go in. The opening acrobatics were about thirty cents worth. The solid, stolid and expressionless juggling lady kept dropping her dumbbells. 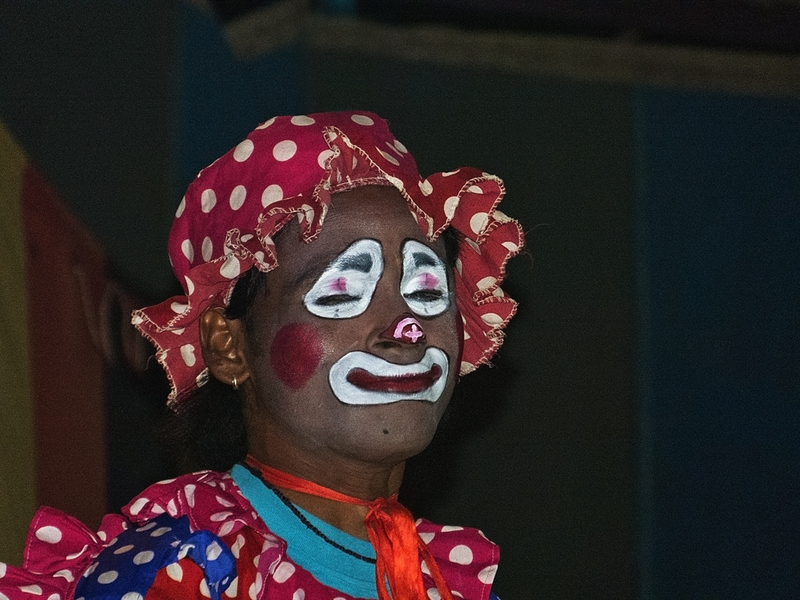 Then when the clowns got into a repartee that had the crowd laughing, but us just plain puzzled, as it was, naturally, in Hindi, we decided it was time to leave. 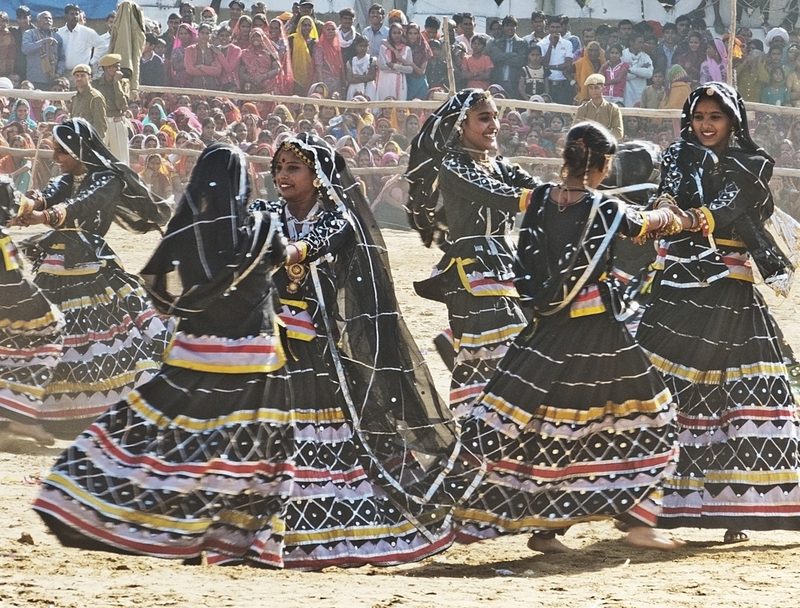 At both the opening and closing ceremonies hundreds of school girls, in bright shiny colourful traditional dress filled the stadium with their dancing. Hundreds of them. All dancing together. 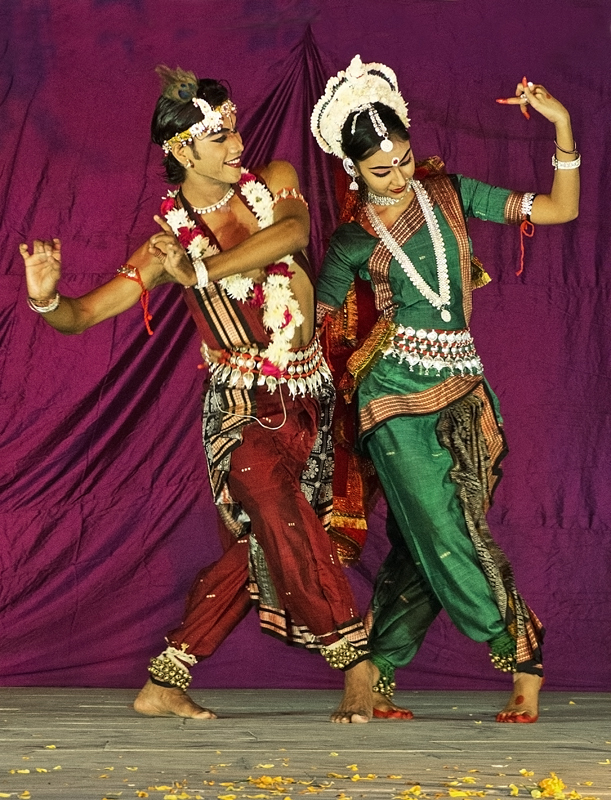 Flashing eyes, flying feet, waving arms, curling fingers, swirling dresses, pounding rhythms. Spectacular! The dust was flying! And finally it was the last day and we set off early for the closing ceremony in which there was much prize giving and a truly magical extravaganza of a parade. And a brief glimpse of the parade – a few of the beautiful and/or startling things that passed by us. 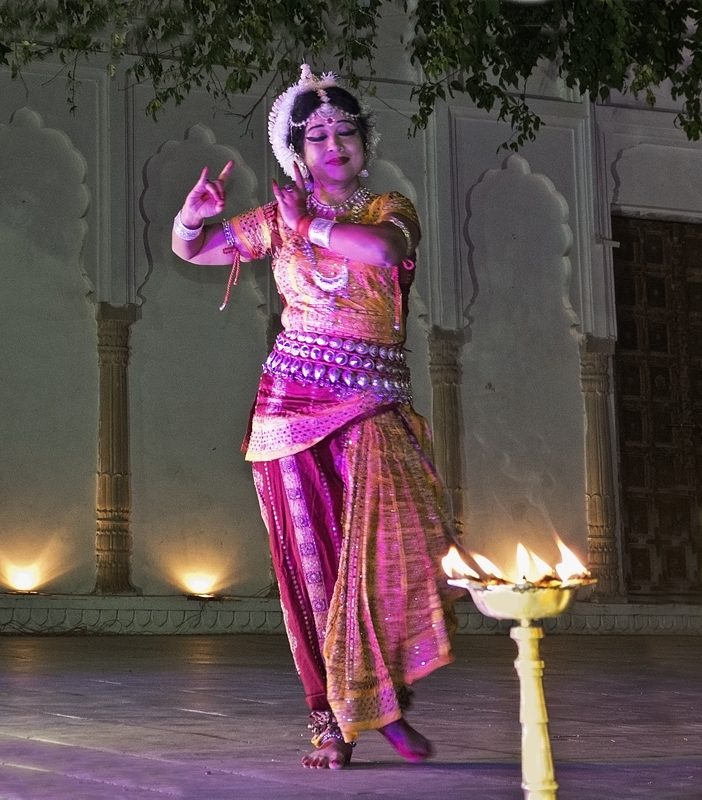 One last thing to include about the Pushkar Camel Fair: there was dancing at the Old Rangji Temple for several nights – traditional Hindu temple dancing. So completely cativating we went two nights in a row. And that’s it. 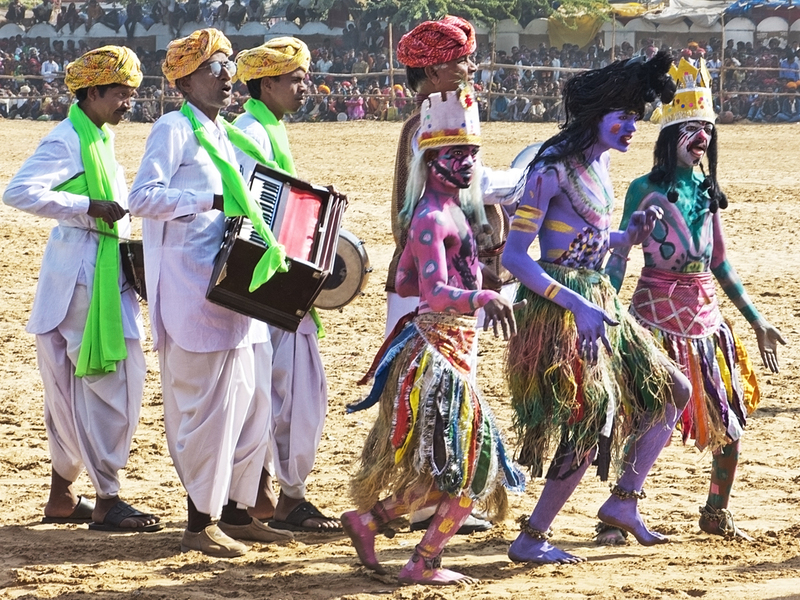 That’s our nine days in Pushkar during the annual Camel Fair. An extraordinary and unforgettable time. If you ever have the chance go. Just go. 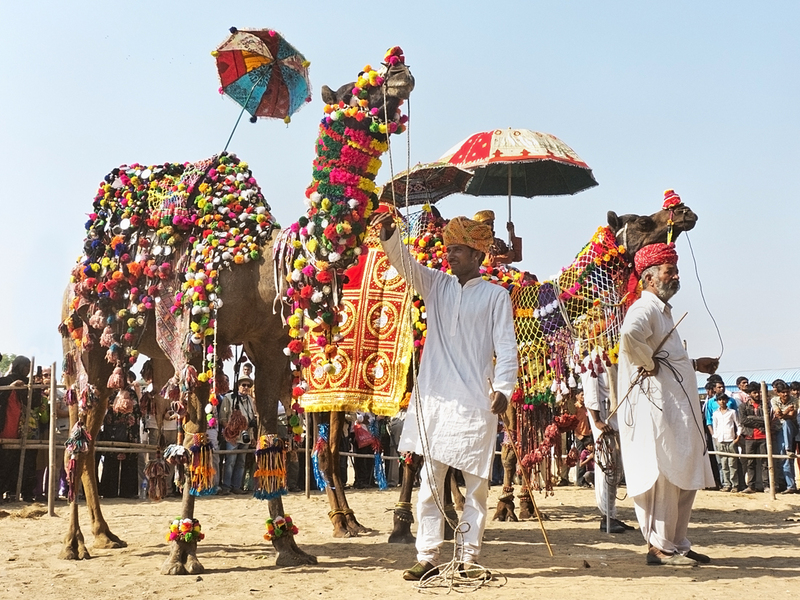 Check out the tent city of thousands on the Mela – thousands of people, thousands of cattle, thousands of horses, and, of course, thousands of camels. 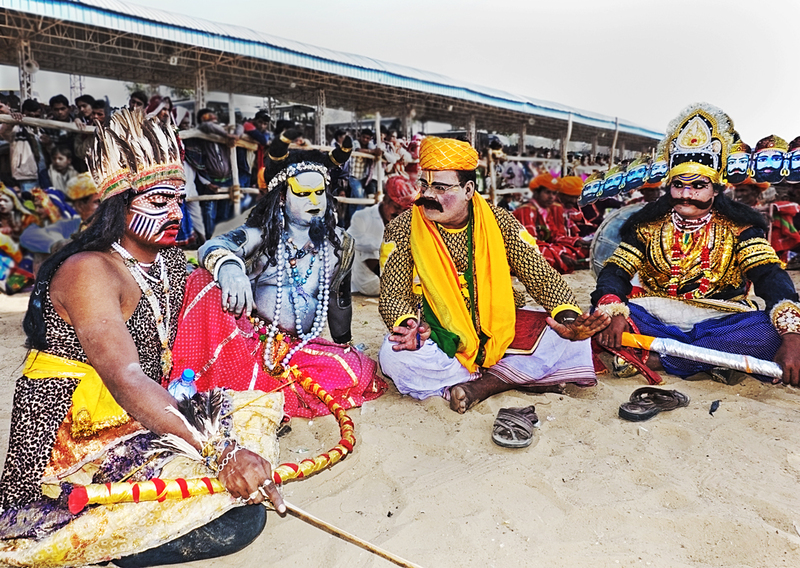 See the throngs of people from all over India, and the world, cramming the town and the stadium and the Mela grounds. 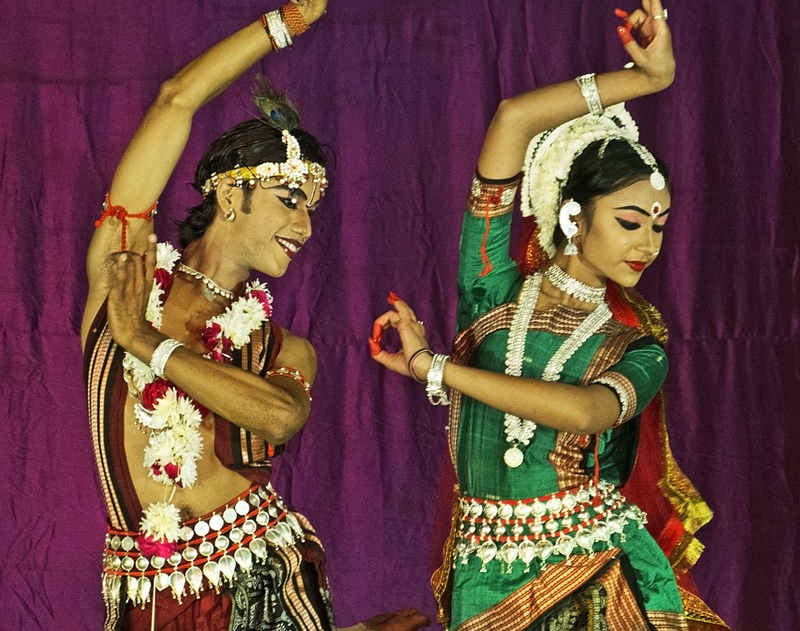 Go into the temples and to some of the religious ceremonies, go to the crazy competitions, and see the exquisite temple dancers. Just go. It’s exciting and fun and exhausting and enriching and a big piece of joy all rolled into one. The best fun ever! 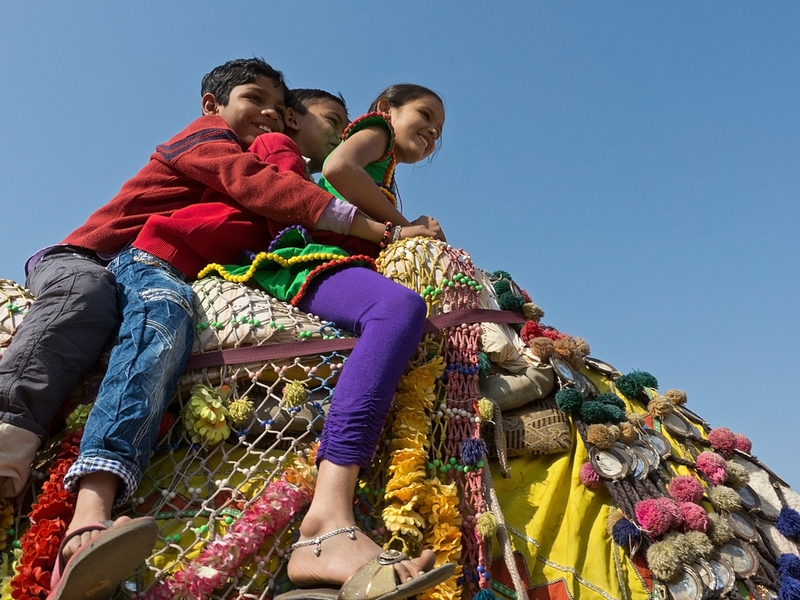 Oh yes, it was just like ordinary Indian traffic – just go any way you can! Thank you so much Terri. I have 2 sisters who are professional photographers and have learned a lot from them. It has really made a difference. 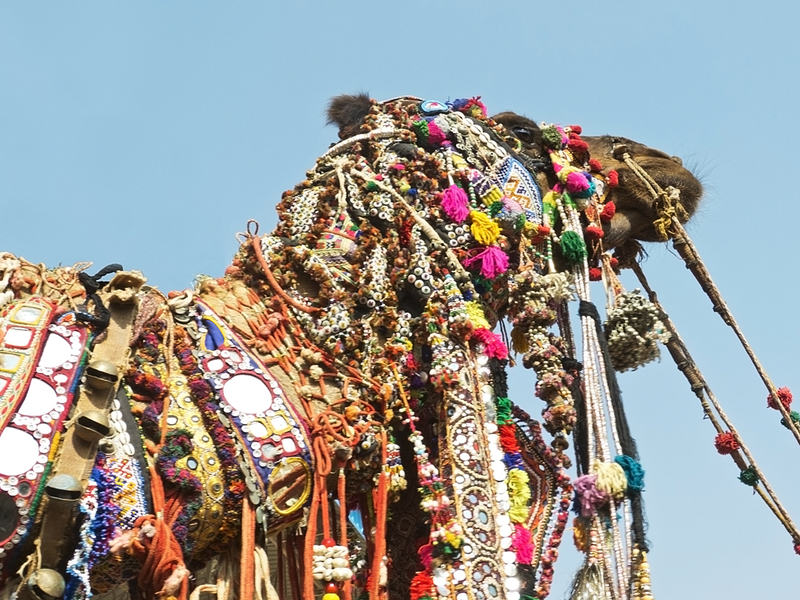 Yes, the Pushkar Camel Fair was an amazing experience. And I’m really glad we stayed for the whole 9 days and didn’t miss any of it. There was something going on every day. It’s definitely a good one for the bucket list. Love this, Alison. Glad you got another monkey blessing. 🙂 The only thing you didn’t capture here is the smell. Must of been somewhere between sublime and astonishing. Astonishing is not the word. Sublime yes – incense, always incense. Everywhere. Beautiful. Thanks Angie. Yes it was a bit exhausting at times, but so worth it. Definitely a bucket list event. Thanks Kate. Glad you enjoyed it. Thanks Paulette. And thanks for following. Hope you enjoy our ramblings. Once more, a brilliant photographic experience!! 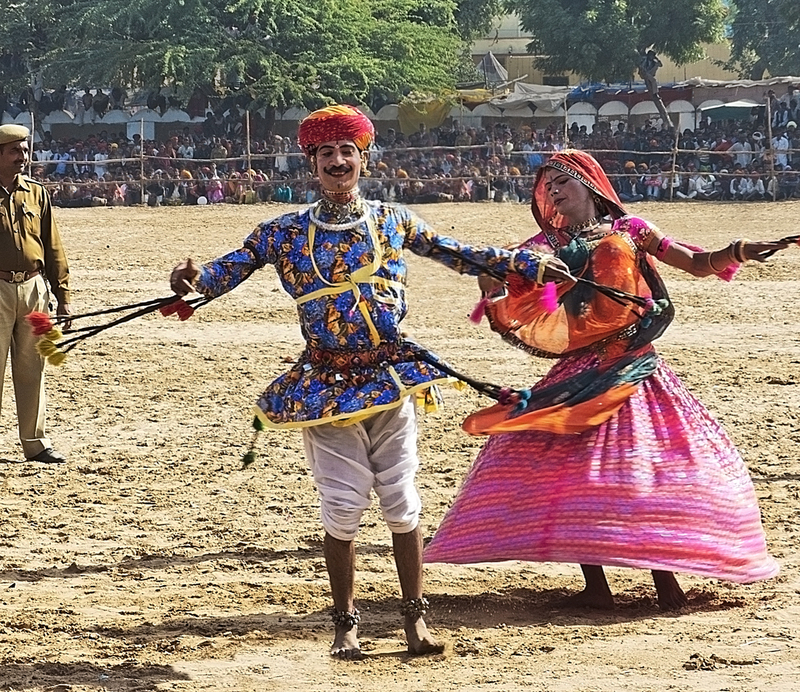 I have just come across your fabulous blog and read with huge interest about the Pushkar Camel Fair as my husband and I will be there in November – I cannot wait! Thanks Caroline. 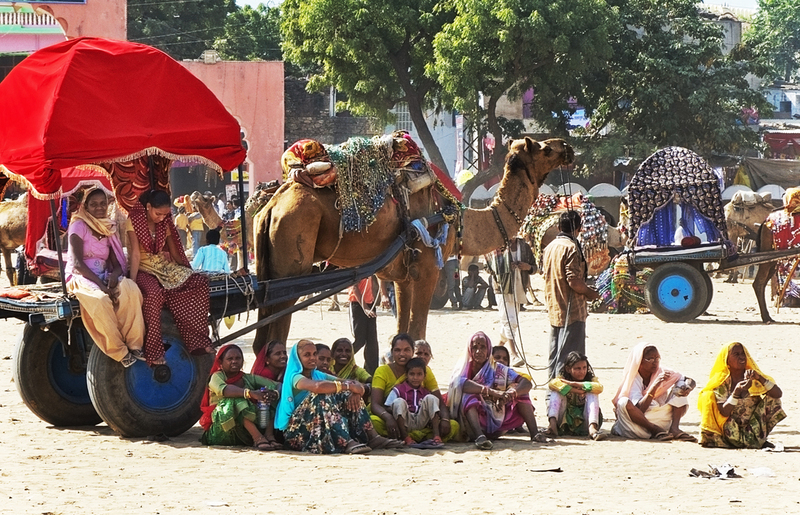 The Pushkar Camel Fair was one of the most amazing events we’ve been to. It will blow you away! Did you see the other two posts I wrote about it? Thank you so much Kunal. I’m glad you’re enjoying the blog.